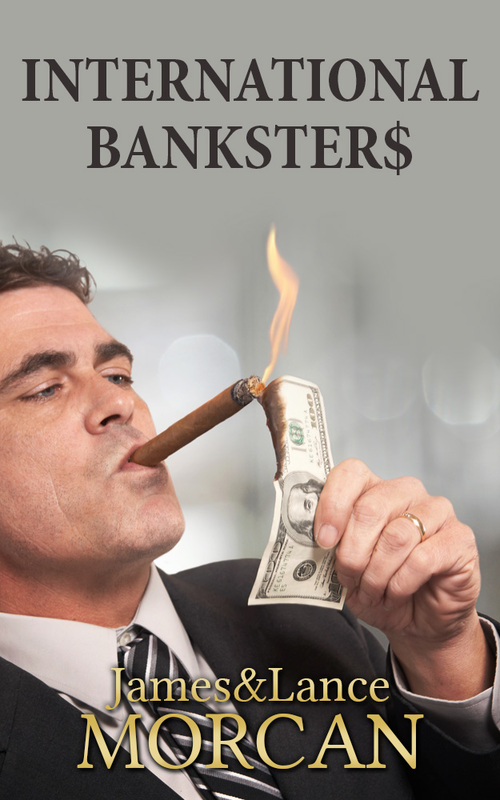 INTERNATIONAL BANKSTER$ — Coming soon to an ereader near you! 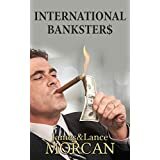 INTERNATIONAL BANKSTER$: The Global Banking Elite Exposed and the Case for Restructuring Capitalism (book five in our Underground Knowledge Series) is scheduled for a September/October release as a Kindle ebook on Amazon. Do you believe capitalism should be restructured, replaced by another economic system or left exactly as is? That’s the question we put to our Underground Knowledge group members in our latest poll on Goodreads.com; we also address that question in our upcoming INTERNATIONAL BANKSTER$: The Global Banking Elite Exposed and the Case for Restructuring Capitalism (book five in our Underground Knowledge Series). Interim poll results show that 53% of respondents believe capitalism should be restructured or reformed; 27% say it should be replaced by another system; 10% insist it should be left exactly as is; and the balance are unsure. I’m essentially a Capitalist as I believe (however flawed) Capitalism is the only economic system ever devised that rewards entrepreneurial and/or hard-working individuals. So I’d never vote for Socialism or communism. However, I also think unregulated Capitalism has become one of the biggest problems facing society right now. It is allowing big business (including multinational monopoly-style companies) too much power and the average 9-5 worker is getting screwed. Communism need not be the only alternative to Capitalism. A system should be devised which incorporates the good from both. There is such abuse of capitalism… When money is the only objective at any cost you have a problem. The proposed TPP trade agreement is inherently wrong, again giving more power to the corporations. If you look at the 1888 introduction to Edward Bellamy’s Looking Backward you will see the workers still in the same position today. There must be social, economic, governmental and political change. Accountability must be instituted for corporations, none of which, including banks are too big to fail. War profiteering must end. Endless war must end. No one needs excessive billions of dollars at the expense of everyone else. Economic morality must be sadly legislated. Capitalism should be reformed, so freedom can be secure for all, and finally the ones who were once left behind can be reached. I think what critics are currently calling Capitalism and the free market are really corporatocracy and cronyism or “unregulated Capitalism” which is a different thing from what was originally in place in the US and much of the Western world. But whatever the case, I do think the wide scale economic or financial corruption by the elites is leading to increasing numbers becoming homeless, losing their homes, going bankrupt, not being able to pay their medical bills, etc, etc. The greatest flaw of capitalism is the ability of corporate leaders to manipulate the political system to their benefit and to the detriment of everyone else. Making behavior like this a criminal offence, and enforcing the law, would go a long way toward reforming capitalism. To paraphrase Churchill, capitalism is the worst economic system there is, except for all the others. Capitalism’s turned us into competitive human beings (which I don’t believe is good)and means we live in a system that benefits the rich and f…. the poor. Whether it’s modified or replaced, I don’t much care, as long as we can find a system that helps provide the necessities of life for everyone first. Then you can buy your Gucci dresses and blood diamonds. Society must find a wise way to give food, shelter, education and health care to everyone. The change from capitalism to another system, needs first a big change in the way the majority thinks. Poverty could be solved instantly if we wanted it to be- which would reduce crime, benefit the economy and be better for all concerned (oh, other than that current 1% at the top, but they’ve had their turn). I think it’s important we look beyond such things in the way that if someone says they’re anti-capitalist it must mean they’re a socialist, for instance. We base our understanding on the past and not with common sense in the present. . Feed, house, give water and energy to everyone and the world would soon change for the better. THEN you can start trying to attain whatever else your heart desires. Capitalism, in its current form, certainly doesn’t aid any of that. Surely the genius and greatest evil of capitalism is that we all become both product and customer, consumer and consumed? The problem cannot be blamed on shareholders, nor marketers. We must take self-responsibility. Poll ends June 18 PST. Since the Global Financial Crisis of 2007-2008, many around the world have been questioning whether there are certain figures and groups manipulating financial markets behind the scenes. This speculation intensified with the ensuing government bailouts of privately owned banking institutions ahead of the millions of citizens facing bankruptcy. There has been a growing awareness in the masses of large-scale financial corruption by the elite – or the 1%, if you will. The public are not stupid. 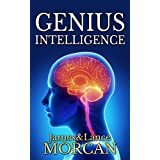 What the average person lacks in specific knowledge of money markets, they make up for in spades with street smarts and life experience. And the masses have now caught on to what has been going on for decades, if not centuries, with the bankers of the world. 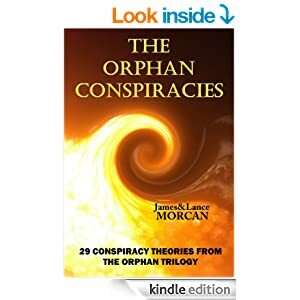 In The Orphan Factory, one of the founding members of the Omega Agency – the shadowy organization that created the orphans – is a senior banker of the US Federal Reserve, aka the Fed. We made this character choice as we believe the banking elite are some of the most powerful and influential people around. 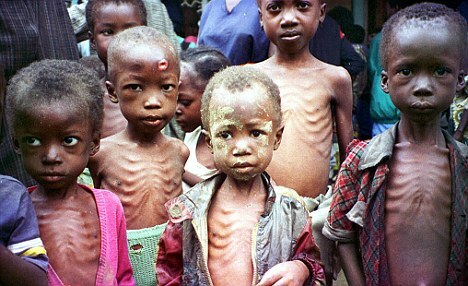 They shape the world far more than politicians do. After all, money can buy administrations. 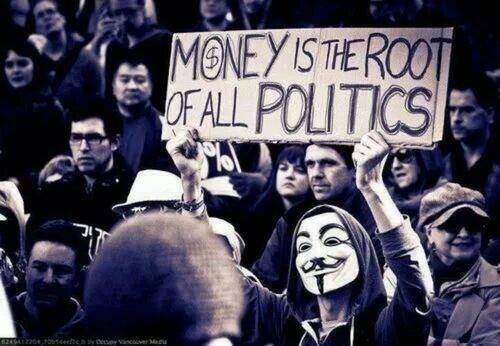 Some would even argue money can buy elections as well. If one day proven to be correct, the conspiracy theory surrounding the Federal Reserve is one that may explain a variety of unusual occurrences in financial markets over the years. In a nutshell, this theory contends that the Fed is an institution that acts independent of the US Congress, has zero transparency or accountability, and even determines its own monetary policy. Bankster definition: A portmanteau or blend word derived from combining “banker” and “gangster”. 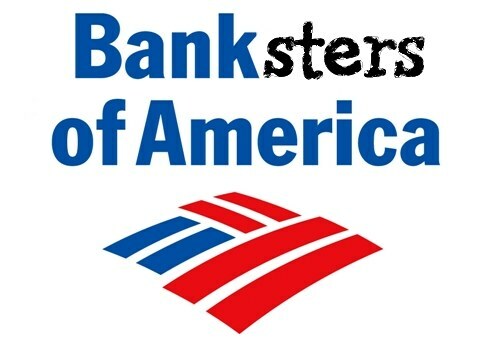 Usually referred to in the plural form “banksters” to refer to a predatory element within the financial industry. A central bank is a financial organizationresponsible for overseeing the monetary system of a nation. It manages a country’s currency, sets interest rates and steers an economy toward inflation targets. If a nation’s central bank is managed without corruption or interference from foreign countries, it should be a stabilizing force. In theory, a central bank can shield an economy from volatility in financial markets. But the operative word is corruption. 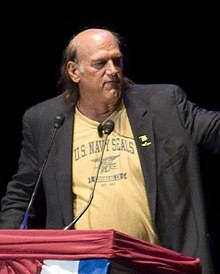 Senator Paul and Governor Ventura targeted the global elite. 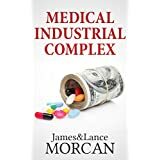 Numerous economists and historians, and vociferous politicians like Senator Ron Paul and Governor Jesse Ventura, have opined that the global elite had been aiming to control the resources of the US for centuries. Creating an American central bank privately owned by an international banking cartel seemed to be the most efficient way to achieve this aim. 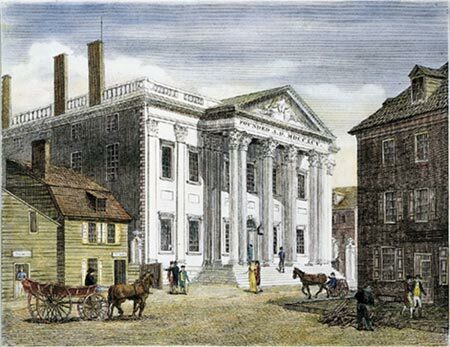 In 1791, the First Bank of the United States was set up apparently because the Government had a massive debt left over from the Revolutionary War known as the American Revolution. Many researchers say this was the earliest attempt by banking families of the global elite to create a privately-owned US central bank, masquerading as a federally-owned entity. Although the bank had numerous opponents in the political arena, it only controlled 20% of the nation’s money supply – unlike the Fed today which manages 100% of the nation’s money supply and not a ‘penny’ less. 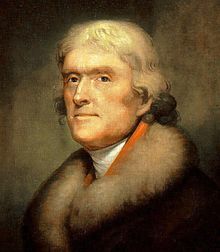 American Founding Father and the nation’s third President, Thomas Jefferson, was one of the most vocal critics of the First Bank of the United States. He argued the bank was unconstitutional, citing the 10th Amendment. President Jefferson (above) and the First Bank of the US he so detested (below). This experiment in US banking ended in 1811 when the bank’s charter expired. Because of the institution’s many critics, Congress decided not to renew its charter. Six years later, in 1817, the Second Bank of the United States was brought into being as major international banking families continued to push for an American central bank. This bank was also quite temporary, with President Andrew Jackson ending its existence only 15 years later. 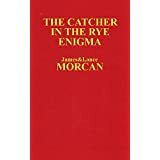 However, the global elite’s bankers did not give up and in the early 20th Century started formulating ideas to create the US Federal Reserve System as we know it. One of the group’s breakthrough ideas came during a secretive meeting at a hunting lodge on Jekyll Island, off the coast of Georgia, when they decided not call the new bank a central bank. History had shown America did not want a central bank. 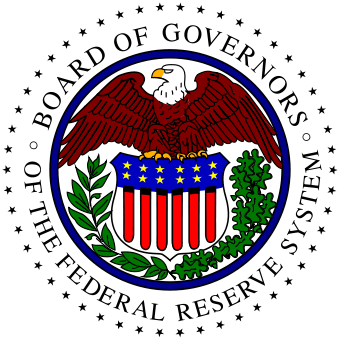 After much brainstorming, the deceptive Federal Reserve name was agreed upon – presumably because it was assumed this name would fool the public into thinking it was a government-owned bank. 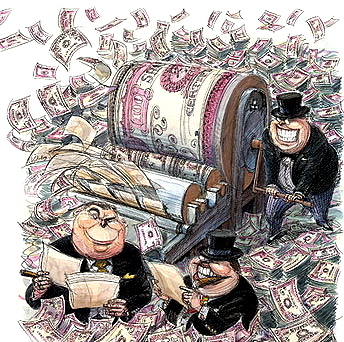 Although representatives of this shadowy banking cartel were open to co-managing this new central bank with Congress, all agreed the bank’s members had to be private banks that would own all of its stock. Fact: The Federal Reserve is the central bank of the United States, though not a part of the US Government. It’s not a part of the government, at all. Former NYC Mayor John Hylan…no fan of bankers. 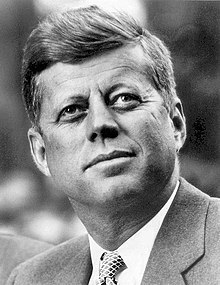 Less than six months before he was assassinated, President Kennedy had begun formulating a new Federal Reserve Act, which many say would have restored the Fed to a fully-fledged US Government bank. A little-known Presidential decree – Executive Order 11110 – was signed by Kennedy on June 4, 1963. 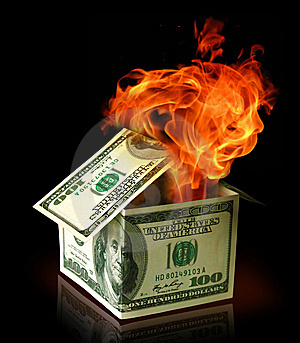 It would have deprived the Federal Reserve of its ability to loan money to the US Government at interest. By signing the document, President Kennedy was attempting to put an end to the Fed – or at least the Fed as we know it. As of the time of writing, the country’s national debt is a crippling 17 trillion dollars – that’s US$17,000,000,000,000 – and has increased at approximately 2 billion per day for the last 18 months. It has been estimated by independent researchers that eight banking families, including the Rockefeller family, own 75% to 85% of the shares in the Federal Reserve Bank. Many of the individuals in those families are also politicians. They include Republicans and Democrats, so clearly political allegiances make no difference. That’s no surprise as its almost common knowledge that the same financiers bankroll the campaigns of the two dominant parties in American politics. Republican or Democrat…makes no difference. Interestingly, most of the shareholders of the Fed are also members of the Bilderberg Group and/or the Council on Foreign Relations. After more than a century of these elite banksters having their way with little opposition, there has in recent times been a groundswell of resistance against the Fed. This resistance began as a grassroots movement early in the 21st Century and has really caught on in the last few years. 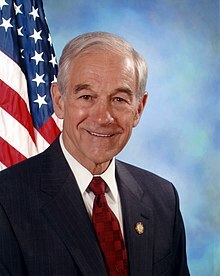 Two of the main reasons for the Federal Reserve conspiracy theory reaching popular consciousness were Ron Paul’s presidential campaigns and the Occupy movement, that protest movement against economic and social inequality. Only a few years later, the Occupy Movement became headline news around the world after a series of dramatic protests. To paraphrase, the international protest organization’s mission statement is to rally against inequality in all forms, especially economic inequalities. The Occupy Movement also aims to make the spread of wealth more evenly distributed amongst all sectors of society. Occupy Wall Street struck a chord with the 99%. 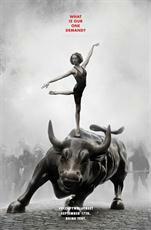 2011’s Occupy Wall Street struck a chord with the masses, and the movement’s ideals spread like wildfire from there. Less than a month after the Wall Street occupation began in New York City, there were protests all across America, and even more impressively in 82 countries worldwide. During Occupy Wall Street, End the Fed and Audit the Fed were popular slogans used by protestors, and the mainstream media reported on these. We are the 99% proved to be an even more popular Occupy slogan – so much so that it soon became a worldwide catchphrase used by charities, television advertisers and common citizens. Primarily off the back of the awareness gained from the Occupy Wall Street movement and Ron Paul’s 2008 and 2012 presidential campaigns, campaigners’ desire that the Federal Reserve System be audited sparked nationwide interest. In 2012, a bill inspired by this movement was passed through the House of Representatives with overwhelming bipartisan support. Called ‘Audit the Fed’, the bill was introduced into the House by Ron Paul. However, in late 2013, Paul’s son Rand Paul launched an initiative to pass the same bill into the Senate. This debate is still ongoing as of writing, but it does not look likely to become law. Although the bill has some support in the Senate, Rand Paul currently faces stiff opposition from the likes of recently instated Federal Reserve Chair Janet Yellen and President Obama, to name but two. Why are leaders so scared of having an audit of a supposedly federal organization? What do all these quotes, facts, opinions, rumors and conjecture mean regarding the financial system? 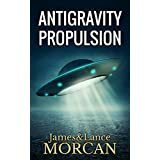 Admittedly, the points raised in this chapter simply lead to more questions than answers – that’s always the hallmark of a good conspiracy theory! Is the Federal Reserve designed to be the biggest money laundering institution in the world? Are there really powerful groups operating behind the scenes who manipulate governments, economies, journalism and elections with effortless ease? If so, how are they able to hide their deceitful activities? Do journalists purposefully obscure the truths surrounding the Fed in order not to upset the powers that be? Or is the average journalist simply unaware of the history of the Fed? And finally, remember that we could be totally wrong about everything we wrote on the Federal Reserve here and in The Orphan Trilogy. In which case you should probably bank all that cash you keep under your mattress and let it start earning interest!